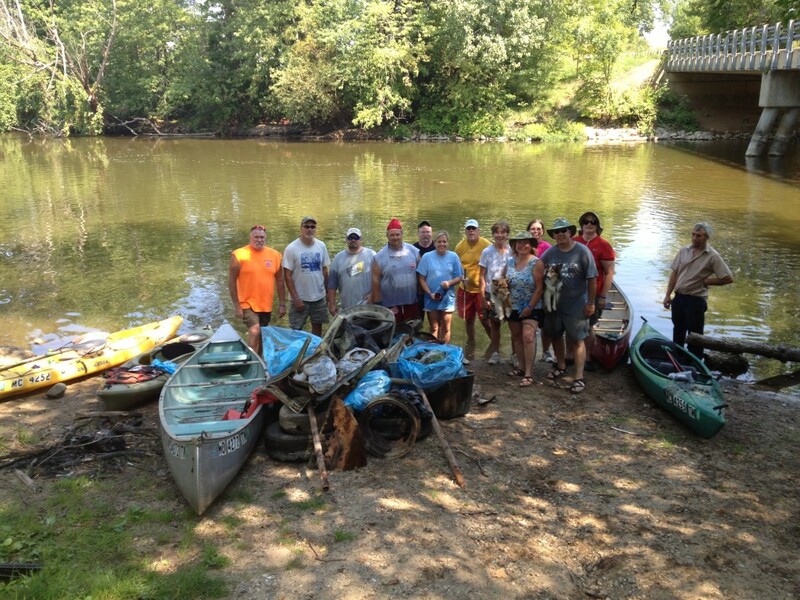 On behalf of the Vermilion River Stewardship, I would like to thank everyone who came out to our Vermilion River Clean-up on Sunday. 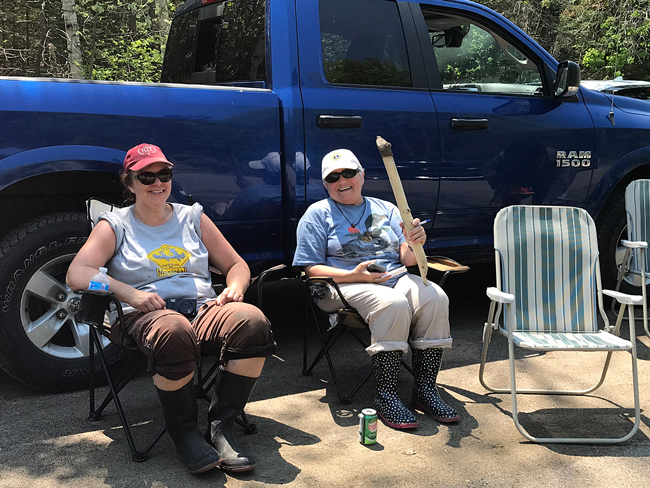 There were 28 people who came out to help at Ella Lake for the Clean-up, and there were also others who opted to clean-up their own section of the Vermilion and connecting lakes – so a BIG THANK YOU to all who volunteered! A special thanks to the Basso Family and the Whitefish District Lion’s Club for providing a great barbecue for our clean-up volunteers! It was a very cold day, with a sprinkling of snow, but a good time was had by all – and a huge pile of garbage was collected. 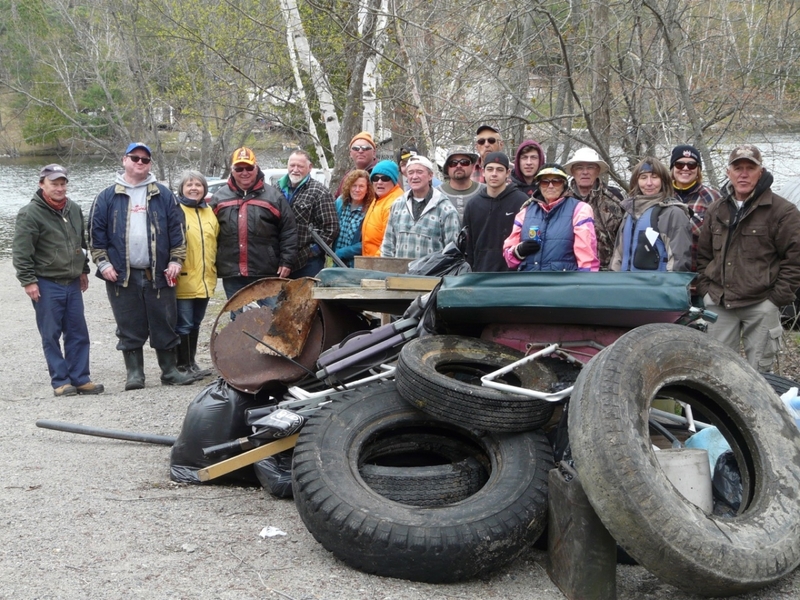 Thank you to all our Vermilion River Stewardship volunteers who came out to help in our 1st Annual River Clean-up last Sunday, 7th of June. Also, a BIG THANK YOU to VRABS Independent Grocers for the contribution towards our barbecue lunch, and for the Basso Family for feeding all our volunteers! 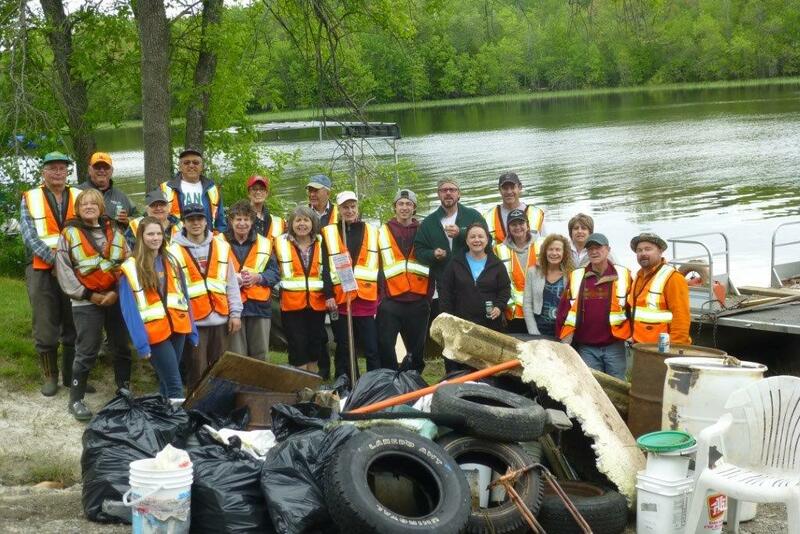 The forecast called for rain, but we were pleasantly surprised to have about 30 people show up to help in our clean-up – and the rain stayed away until just as we were leaving. Bug spray, bug jackets, and an enthusiastic willingness to make a difference were in abundance!! 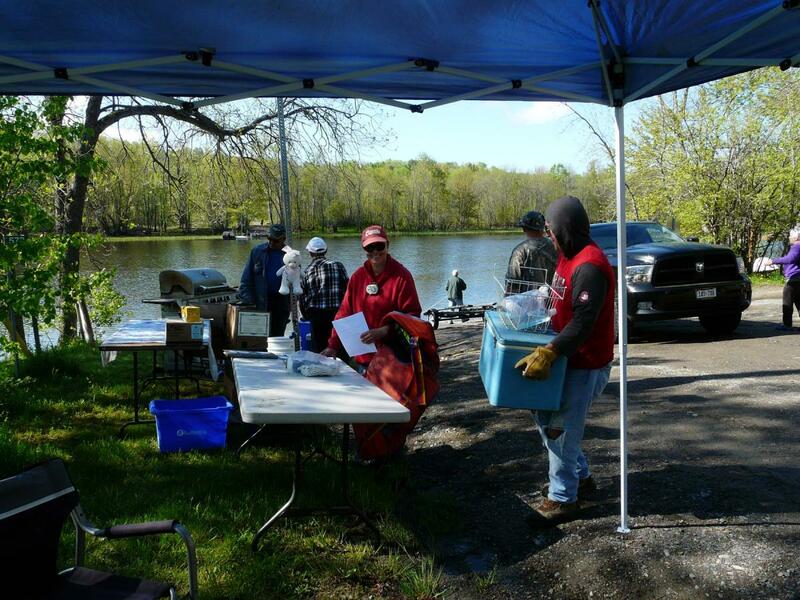 A great time was had by all, and Wabagishik Lake and the Vermilion River are looking fantastic! I hope no one was nipped by the poison ivy!